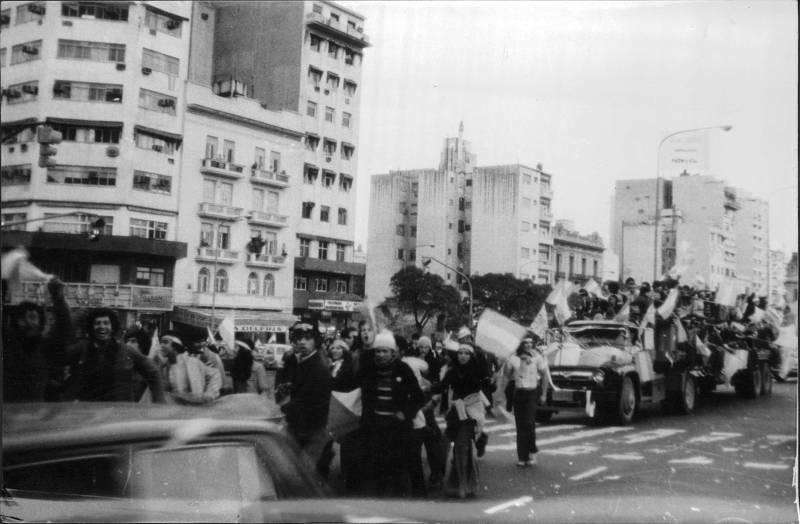 A group of militants with disabilities generated resources to survive during the World Cup ´78 selling Argentine flags on the streets. On Friday morning of June the 2nd, Fernando Navarro arrived at the store that “Turco” Ibrahim had on Pasteur Street, in the neighborhood of Once, with a clear idea of what they needed: Argentine flags. That afternoon the national team would debut in the World Cup that had just begun, against Hungary. "Flags, Turco, don´t you have any out there? There must be some” Fernando asked him. Neither he nor the salesman, nor his brother Pepe, nor the rest of the people with disabilities who integrated with them the revolutionary group Christians for Liberation imagined that morning that with that idea they will make a bundle. Fernando is the brother of José Liborio Poblete Roa. "Pepe", "Cortito", "Martín", as they called him, arrived in Argentina in the first half of the 70's. He came from Santiago de Chile, where he had suffered a train accident that had left him without legs. Some historical records say that he traveled to Buenos Aires to rehabilitate his disability. 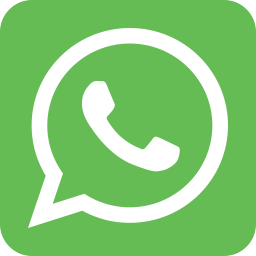 But his mother, the Grandmother of Plaza de Mayo Buscarita Roa, assures that José, who in his native land was part of the Revolutionary Left Movement (MIR), left when political militancy began to be persecuted in Chile, after the dictatorship of Augusto Pinochet. Immediately, José hit it off with Argentina. With several disabled young people he met at the Institute of Rehabilitation of Bajo Belgrano (Claudia Grumberg, Hugo Avendaño, Alejandro Alonso, Norberto Scarpa, Monica Brull, Gertrudis Hlaczik) founded the Peronist Disabled Front, an organization that came to concentrate more than 200 political activists during the 70s with and without disabilities. The persecution unleashed by Triple A forced them to disintegrate the front, but the original group continued united, working and militating. Soon after, they came together in the Christian group for Liberation. They were joined by Fernando, after crossing the Andes with the rest of José's brothers, Buscarita and her husband. The last dictatorship found them combining militancy with strategies for daily survival. “The situation was difficult from the personal and from the political point of view”, says Fernando. The kidnapping of Claudia Grumberg, on October 12, 1976, forced the members of the group to move and to self-impose strict security measures to avoid falling into the grip of the repressors. Fernando went to live in Florencio Varela with Hugo Avendaño. José and Gertrudis, who were already a couple, went to Buscarita´s house, in Guernica. "The comrades fell every day, the economic issue became very difficult", Fernando completes. Street vending was the solution that provided them. Fernando says: "With José we started to put together a kind of cooperative to be able to survive. The selling was easy because people bought things from the partners with disabilities. We had blind companions, in wheelchairs, but with a huge spirit of struggle”. By 1978, the task was already organized. They used to buy merchandise from “el Turco” to resell on buses, trains or on the street. -Turco, Do you have Argentine flags? -What do you want them for if they are not going to pass the first round, Chilean?- He joked. He went to the back of the store and began to rummage through bags of combs and plastic jars, school and sewing kits, until he found a bag with a handful of flags. Fernando and his brother Víctor "Lolo" Navarro took it and started offering them just a few blocks from the Turco store, shouting "Argentina!, Let's go Argentina!". They sold them all in half an hour. Happy, they went to see the match that Argentina won 2 to 0. The next morning they met Pepe at the Constitución train station to think about how to take advantage from that “hotcakes” they had discovered the day before. "Pepe made social organization from anything", defines the brother. Buscarita remembers him telling his companions that even if their legs were missing or they were blind they had to work, that they couldn´t stay with the handouts. That same day the brothers went to see el Turco, who promised to get them more flags. 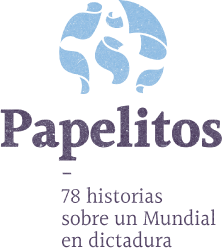 Poblete, on the other hand, organized everything so that the people of the also manufactured the “Albiceleste” fabrics. They repeated the success in each of Argentina matches. The selling hands grew with the organization. There were Christian group for Liberation people selling at every important point in the city. Fernando and Lolo, Hugo, Pepe and "Trudi" were at the five corners – Honorio Pueyrredón, San Martín, Angel Gallardo, Díaz Vélez and Gaona streets–where is the monument to the Cid Campeador, in the Buenos Aires neighborhood of Caballito. Sometimes, the couple took with them their little baby Claudia Victoria, called “Mundialito” by her parents’ companions. Pepe's stepfather had nicknamed her that way because she was born in March, very close to the World Cup. The rest of the days, the baby was in charge of the grandmother Buscarita. Claudia Victoria Poblete Hlaczik was kidnapped with her parents in November '78 and taken with them to the clandestine detention center known as El Olimpo. She became one of the 400 appropriated babies during the dictatorship. She was raised as her own daughter by member of the Army Intelligence Ceferino Landa and his wife, Mercedes Beatriz Moreira. Thanks to the struggle of Buscarita and the Grandmothers of Plaza de Mayo, she recovered her identity in the year 2000. The people were happy with Argentina´s performance of in the championship and the Christians for Liberation as well. 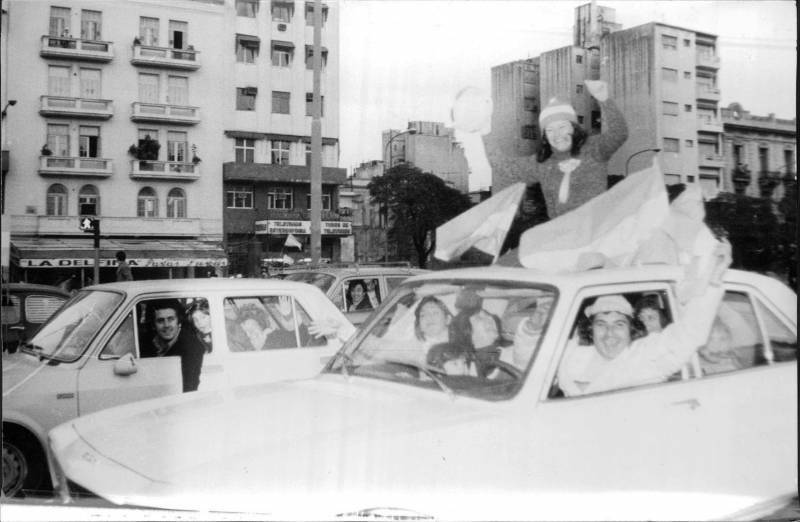 Even though the dictatorship "breathed down their necks all the time", the news of a kidnapped colleague there and a fallen one there, the 1978 World Cup made them felt “what it feels like when the people are in the street, that joy ... it was a relaxation, there was a lot of joy”, says Fernando. The flags selling allowed them not only to generate resources for the subsistence of their companions, but also to finance militancy activities. They were able to print fliers with revolutionary slogans, bought a car and helped with renting the houses for those who needed it in the organization. "Money was not a concern for us, it was at the service of the struggle," says Fernando. The group was financed with the resources generated by the sales of the World Cup flags until November 1978, when they kidnapped Pepe, Trudi and Claudia Victoria.